Lead a grand army into battle as the fearless warrior queen of a medieval kingdom, or adventure solo as a mercenary from a fantasy realm. Whichever role you choose, the Artemis Leather Pauldrons will enhance your style and defense. This package includes one pair of spaulders, each composed of two flexible, interlinking segments. An antique patina, embossed imagery, and offset trim contribute to its elegant, distinctive design. Fleur-de-lis patterns decorate the uppermost segment. 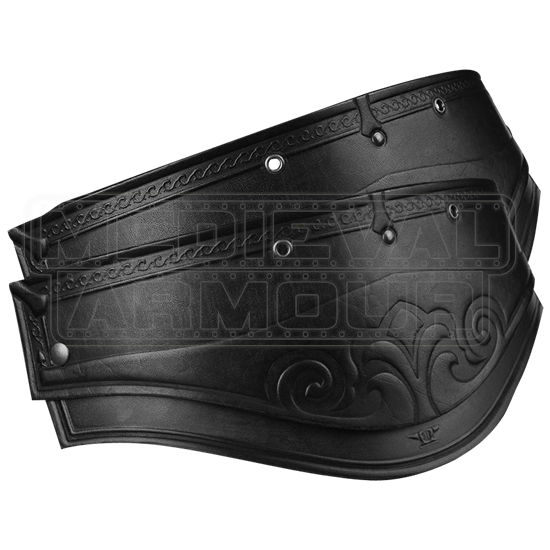 Raise your defense without forsaking style with the Artemis Leather Pauldrons. 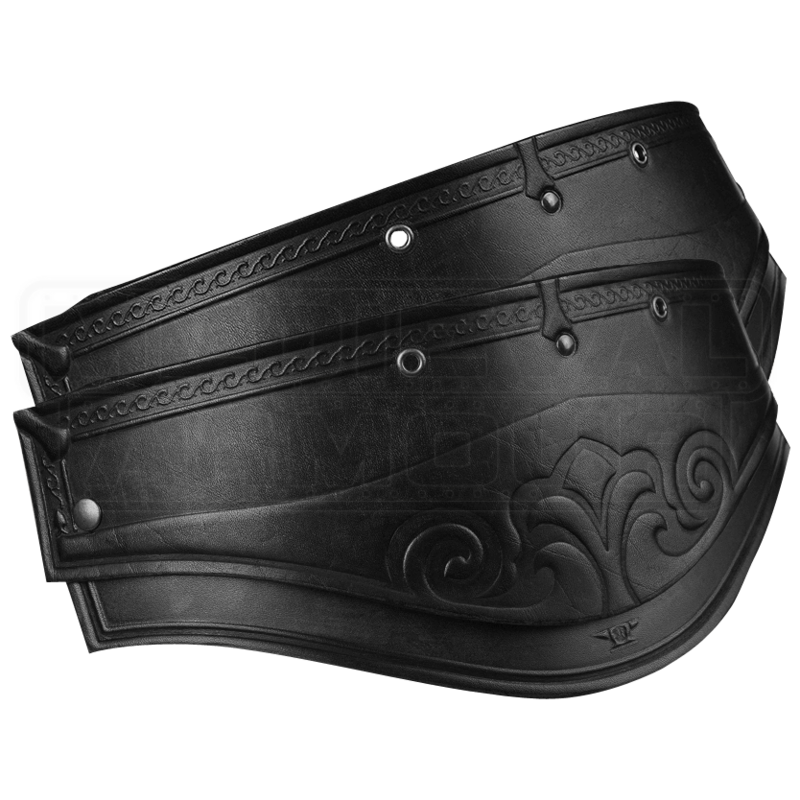 This set is a perfect match for the Artemis Embossed Leather Cuirass for Ladies.